The damage carpet moths can cause is incredible. How can such a tiny creature wreak such havoc on our carpets and rugs? What are those pesky dark lines at the edge of my carpet? We never spilt anything on our old carpet. Yet when the new expensive wool carpet is laid, disaster strikes... a whole cup of coffee! Hear how Safeclean came to the rescue! Most people get used to the 'new colour' as sofas slowly get dirty. Which colour would you prefer? It is natural to be tempted to quickly grab a 'wet wipe' in order to remove a spillage from our lovely sofas. 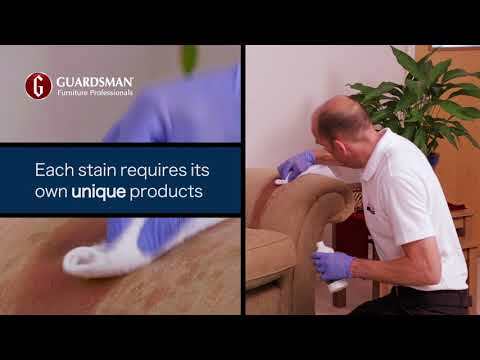 Sometimes this will work effectively but increasingly we are seeing large circular stains appearing on the fabric after having removed small stains. These often look ten times worse than the original marks. What can be done? Whether it's animals or people, an accidental cut can very quickly lead to a horrible mess on carpets and furniture. Success is only one step away! No sign of the colour and pattern on this extremely dirty stair carpet. Can it be revived? Those strange 'wavy' lines on carpets we see sometimes under long curtains. Tea. Best drink of the day? Our brand new mattresses frequently get ruined with accidents by children and pets. OH!.......and sometimes adults too!! We've all done it. Watched in slow motion as that piping hot cup of tea is launched into the air and splashes all over the brand new sofa. Fresh from sorting out a tea stain, my next job takes me to a home that has dog sick on a brand new carpet. They have tried everything since the client has some chemistry teaching experience. I came across a distinctly black liquid shoe polish stain on a wool carpet. This had already been tampered with by a number of proprietary solutions but to no avail. At Safeclean North London we are animal lovers, so it's always nice when a customer has a pet to say hello to! I'll update this blog with any new assistants that I meet.